The operatives of the Rebel Alliance will go anywhere and do anything in order to keep a system free from the tyranny of the Galactic Empire. But you never know who you can really trust, because the Empire has their own operatives roaming around. Also, the various native populations of the planets might have their own ideas of what constitutes "help." Working with those groups in order to ensure victory isn't always easy, and it's knowing who your real friends are that can be the biggest hassle of them all. 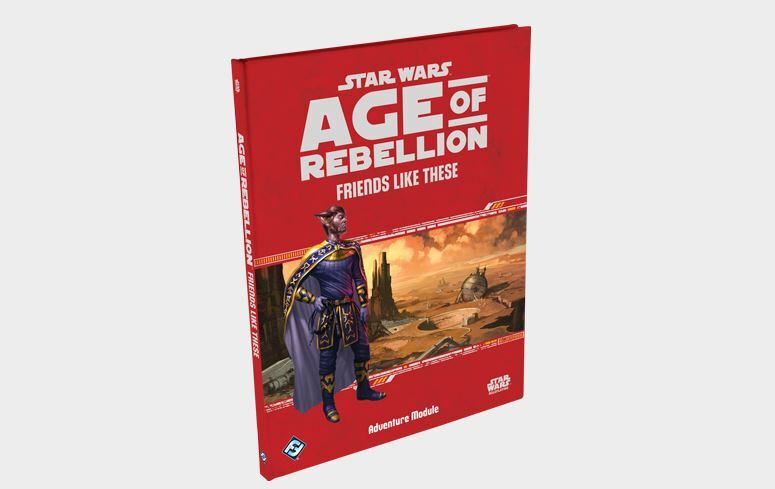 Such is the case in Friends Like These, an upcoming adventure for the Star Wars RPG. You and your fellow Rebels have been told to go to the planet Xorrn. It is under impending attack by the Empire, looking to bring it in line with other systems. It's your job to coordinate a defense of the system, recruiting allies where you can. You only have 48 hours to get this done. The worst part is, how far will you be able to stretch your morals in order to overcome the impending threat? And will you be able to save Xorrn from the fate of being part of the Empire? Expect this adventure on store shelves sometime in the 4th quarter of this year.